Mayor Jim Brainard has been racking up the frequent-flyer miles during the past five years. As Carmel has transformed from an affluent bedroom community to a thriving suburban city in its own right, the architect of that change is in high demand. Brainard has flown to Texas and Florida to talk roundabouts, and to Illinois and beyond to talk about remaking the suburbs. In December, Brainard returned from his longest trip yet: Qatar. The Saudi government flew Brainard and other U.S. mayors to their country to talk city planning. Brainard was optimistic his Middle East trip will bring future economic development to Carmel. 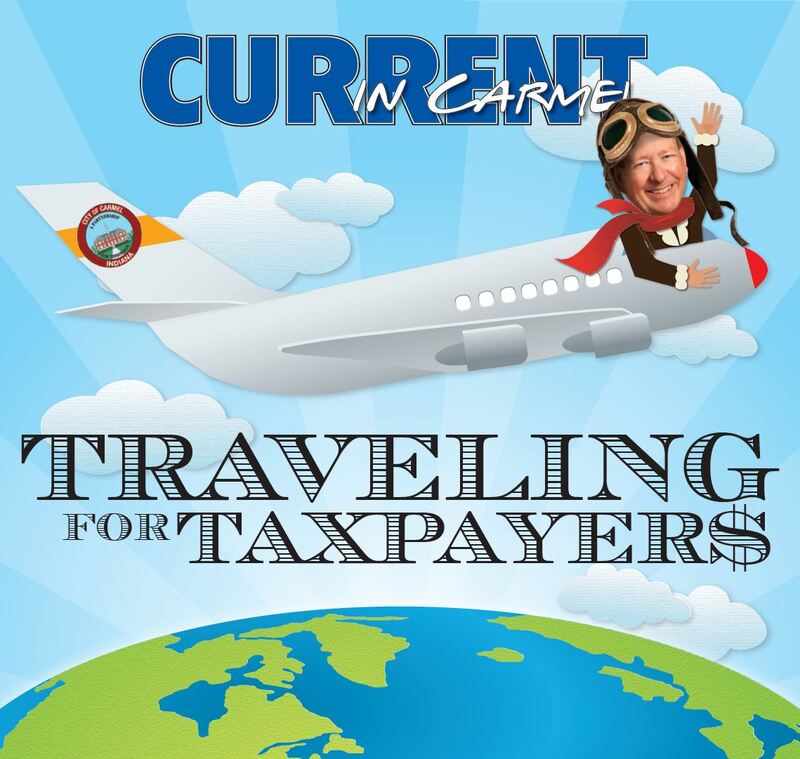 A large percentage of his travel is paid for by the groups he’s speaking to, but Carmel taxpayers do shell out for many of Brainard’s trips – about $52,000 during the past five years, an average of eight trips per year. His most expensive taxpayer-funded trip was a $5,022 jaunt to London last year for economic development. He spent a week in England, personally meeting with representatives from 60 different companies, including Oxford Biosignals, which currently has an office along the U.S. 31 corridor and could be expanding in the future. Most of the trips are for the U.S. Council of Mayors, which Brainard, a trustee of the group, claims is invaluable. Not surprisingly, Brainard travels to Washington, D.C. the most. During a two-day stay in the capitol in July, Brainard met with officials from the Federal Highway Administration and the White House Office of Government Affairs, the International Economic Development Council, Senators Dan Coats and Richard Luger, U.S. Representative Dan Burton and reporters from the Associated Press and other media outlets. 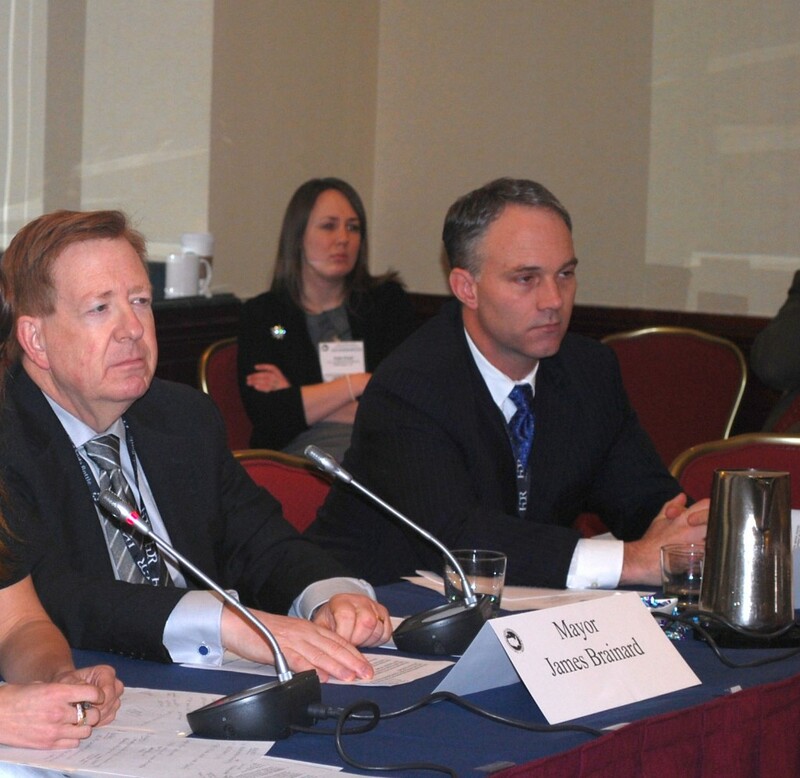 Brainard with New Bedford Mayor Jon Mitchell during the US Conference of Mayors Winter Meeting in Washington D.C. last month. Brainard often uses these trips to get face time with officials who are deciding where to allocate federal dollars. Carmel has earned nearly $24 million in federal grants during the past five years, paying for new equipment for the fire and police departments, new high-efficiency LED streetlights for the city and helping to pay for new roads and trails. Would Carmel have gotten those grants if Brainard hadn’t made the trek? Perhaps, but the face-to-face meetings often bear unexpected fruit, Brainard said. Some of Brainard’s trips bring in money to the local economy in other ways. Delegations from Michigan, Kentucky, Ohio and Tennessee have traveled to Carmel to experience firsthand what Brainard spoke about during his visits to their cities. After speaking at a traffic engineering conference, officials decided to hold its conference on roundabouts in Carmel, bringing in more than 400 people and nearly a half-million dollars into the local economy. It sounds like the $50,000 tax payer investment in Brainard’s trips has paid-off nicely for Carmel, IN.